I think that a lot of us overlook the small touches that make life a joyful experience. Nope, I’m not going to tell you to run out a buy a set a friggin’ espresso spoons to solve all of life’s problems, my point is that actually having the proper tools enhances the joy of a simple cup of coffee. I was happy to receive this 8-piece set of extremely well made, and handcrafted stainless steel espresso spoons ($10.99). Hand crafted to represent the pinnacle of quality. 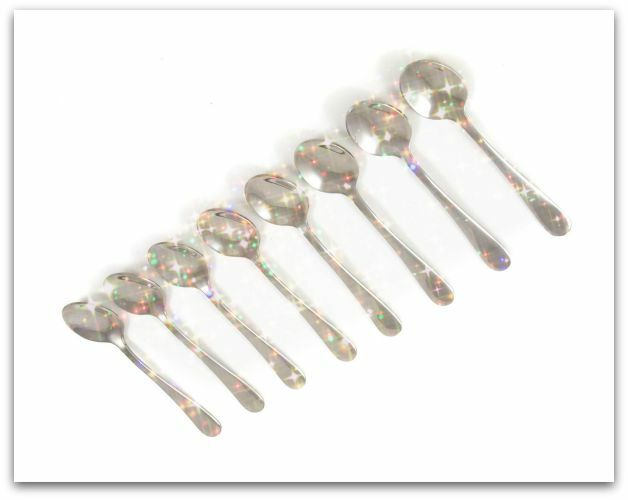 Each spoon is smooth, free of imperfections, and each expertly hand polished to a "just right" shine. For $10.99 these spoons are inexpensive enough that you’re not going to worry if something unexpected happens, yet they’re elegant enough to use for entertaining. As usual, you can get your own set on Amazon!